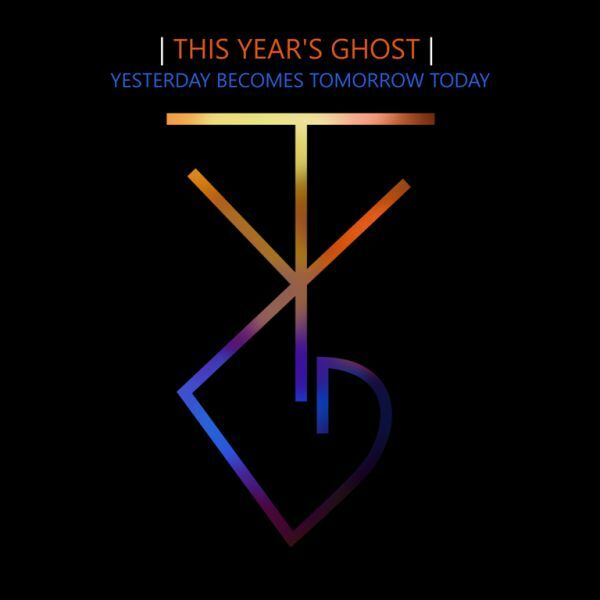 The release of This Year’s Ghost’s new EP, Yesterday Becomes Tomorrow Today, is a moment to behold. Here is a debut that buries its roots deep in the fertile ground of rock, laying a sure-footed and auspicious foundation for what we’re hoping will be a long and fruitful career. Led by the considerable lungs of frontman and guitarist Paul McKenzie and grounded by the weapons grade bass of Joe Kusionowicz and precision engineered drums of Jake Tellinghusen, the trio make a sound that draws upon hard rock, grunge and metal to deliver a collection of songs that sound akin to the electrifying mongrel offspring of a love affair between Alter Bridge and Muse. Lead track “Death Of A Gift” is all taught post-grunge groove with metallic tinges and a fierce riff in the song’s coda that will have you breaking out in goosebumps. “December Sun” is more intensely metal, with its filigreed guitar bolted on to an anthemic chorus and a performance from McKenzie that hints at an astonishing vocal range the likes of which we haven’t heard since Chris Cornell first made his presence felt. “Carry Us In Blue” and “Silver Tongue” then allow Tellinghusen and Kusionowicz to foreground their own respective talents, the former showcasing Tellinghusen’s progressive drumming prowess across some mind-melting staccato rhythms, the latter bringing Kusionowicz’s elastic bass front and centre to drive the piece forward in a rumbling, fuzzy wall of sound. “Black Dogs” rounds out proceedings with a scabrous, swinging riff and some fiery verses dripping in punk attitude. The candles on this already substantial cake are guest vocals from Stitch D of UK industrial outfit The Defiled on the aforementioned “December Sun”, and some impressive production and engineering delivered by Matt Hyde (Slipknot/Machine Head/Funeral For A Friend/Gallows) and Meyrick de la Fuente (Exist Immortal) respectively. Polished but still full of personality, Yesterday Becomes Tomorrow Today simply sounds immense.